Questoverseas: Happy St Patrick's Day! Seeing green, leprechauns, shamrocks and pints of guinness everywhere you go today? Never fear... you aren't going mad - today marks St Patrick's Day, the annual celebration of the patron saint of Ireland. Cue public holidays and days off work in the Republic of Ireland, Northern Ireland and (most bizarrely)the tiny Carribbean island of Montserrat. 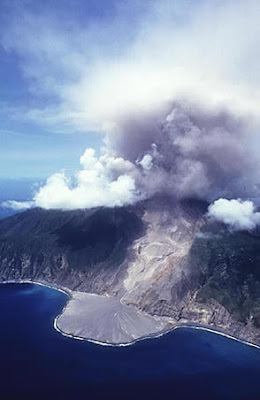 Most well known for its huge volcanic eruption in 1995 which led to the evacuation of 2/3 of the population, Montserrat is apparently known as the "Emerald Isle of the Carribbean" due to its foundation by Irish refugees from neighbouring islands. The "Ireland of the Carribbean"????! HAPPY ST PATRICK'S DAY FROM ALL OF US AT QUEST OVERSEAS! !